Try the rhubarb applesauce on its own or in other baked goods, it won’t dissapoint. Soak 2 cups chickpeas in water overnight. The next day discard the soaking liquid and rinse your chickpeas place them in a pot and cover with 8 cups of water. Cover pot and bring to a boil, once chickpeas are boiling reduce to a simmer and cook for one hour or until chickpeas are tender. Once the chickpeas are ready turn of the heat and leave them in water to cool. Strain chickpeas and save cooking liquid. Let the reduced liquid come to room temperature, store for about a week in the fridge. When ready to use your chickpea brine, place in a large mixing bowl and beat until peaks form. 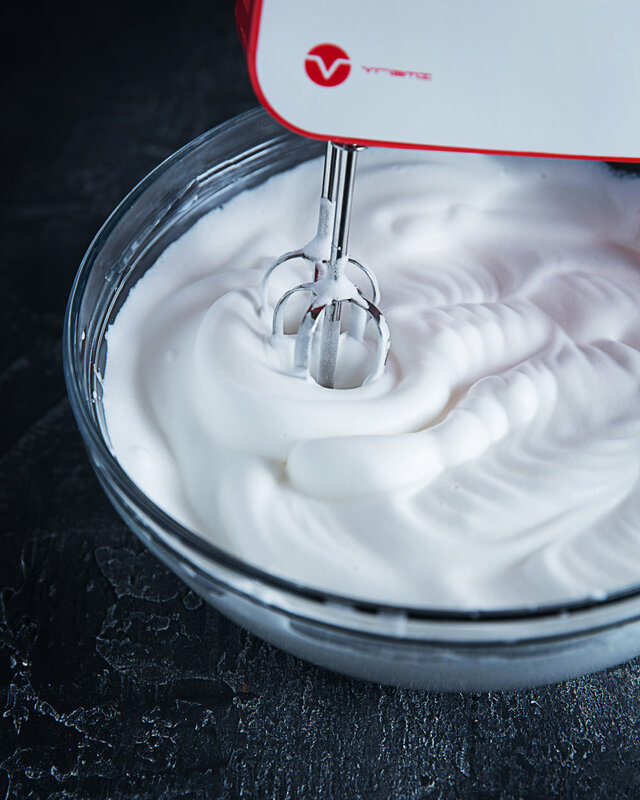 Whisk all dry ingredients together combine with wet ingredients, than fold in aquafaba. 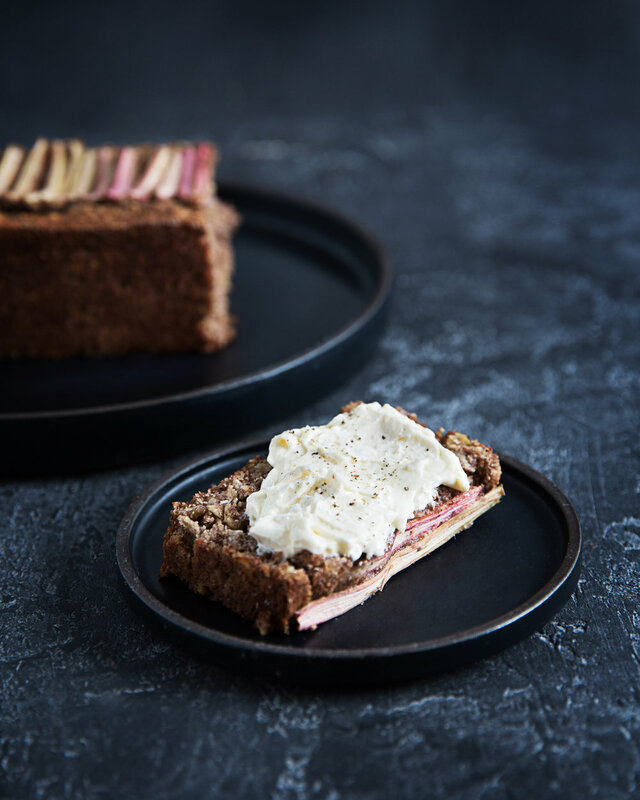 Fold in the thinly sliced rhubarb and pore into well greased and floured loaf pan.